Pigeons (>4 week old youth and adults). 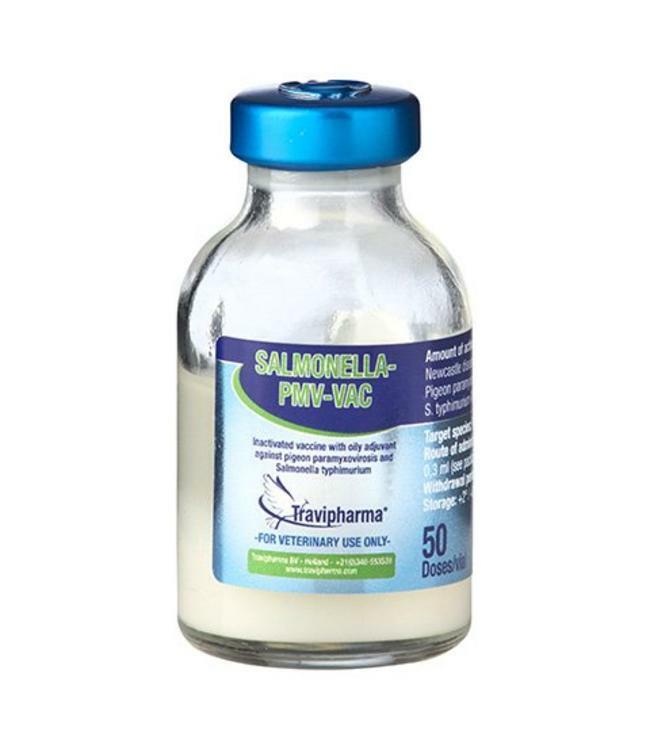 For the active immunization of clinically healthy pigeons against infections with: - Salmonella typhimurium.- Pigeon paramyxovirus (NDV and PMV). Immunity is fully installed after 21 days after the booster vaccination and lasts for 12 months.